The next champion has been crowned at the 2018 PokerStars European Poker Tour Barcelona festival in one of Europe's poker hotbeds at Casino Barcelona. What started at lunchtime with 229 hopefuls out of a 1,527-entry strong field ended at around 3 a.m. local time with a handshake between Tuomo Niskanen and Brian Kaufman, and it was the former that was officially listed as the champion and will take home the trophy to Finland. “I wasn't even going to play this event, because I was sick all week. A friend told me yesterday that I should play and I signed up,” Niskanen said in chat with Kaufman and his countryman Alex Komaromi after all was done and dusted. Another surprise awaited for the Uruguayans when Niskanen revealed that he had played a lot of hands with Kaufman on the online tables already, friends on the rail had told Niskanen the PokerStars nickname of Kaufman en route to the final table. The best live cash of Niskanen was a mere $21,569 prior to this event, while Kaufman already had a very successful trip to Barcelona in the previous year. In 2017, under the umbrella of the PokerStars Championship, Kaufman finished 8th in the €1,100 National Championship for €66,370 and followed that up with a 4th place finish in the €5,300 Main Event for €402,000. At the time of the deal being cut, Kaufman held the chip lead but it was Niskanen that will be taking the winner shots the next day thanks to his successful deal negotiations. After all, the pay jump between first and second place was more than the prize third-place finisher Ignacio Barcenas took home for his efforts. 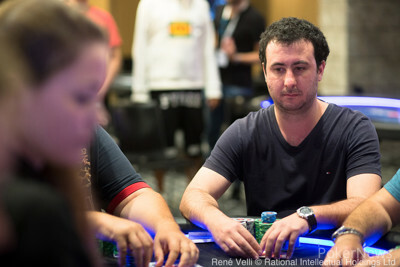 The unofficial final table featured nine players from nine different countries and Jack Salter finished in 9th place, other notables included Brazil's Bernardo Dias, Milad Oghabian and Marton Czuczor. In the first few hours of Day 2, barely any minute passed without an "all in and a call" and "seat open" announcement by the dealers and the players were sent to the rail by the dozens. Early casualties included former November Niners Fernando Pons and Vojtech Ruczicka, Rens Feenstra, Bart Lybaert and Tomas Soderstrom. PokerStars Team Pro Celina Lin made a pay jump and finished in 194th for €3,760. Among the next batch of players to depart was Ludovic Geilich, who lost a flip with ace-nine suited against pocket fives. 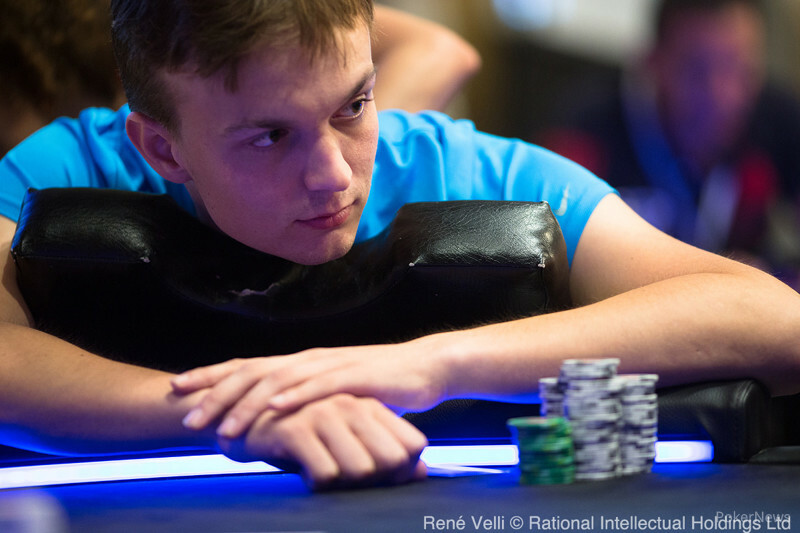 Dominik Panka tripled up early but fell victim to the hot run of Jans Arends when he called a shove with pocket eights and ended second-best to the queen-ten suited of the Dutchman. Many other big names such as Anton Wigg, Kristen Bicknell, Tsugunari Toma, Daniel Wilson and William Kassouf saw their hopes vanish sooner than they'd hoped for. Shaun Deeb was left short after his pocket kings were cracked by the four-deuce of Maurice Hawkins in the blinds and the current 2018 World Series of Poker Player of the Year ranking leader busted in 85th place for €6,280 before jumping right into Day 1A of the €5,300 Main Event. The same payout was also awarded to Jonathan Roy, Georgios Vrakas and PokerStars Team Pro Jeff Gross. The action didn't slow down just yet, though, as the final three tables were reached before the dinner break. 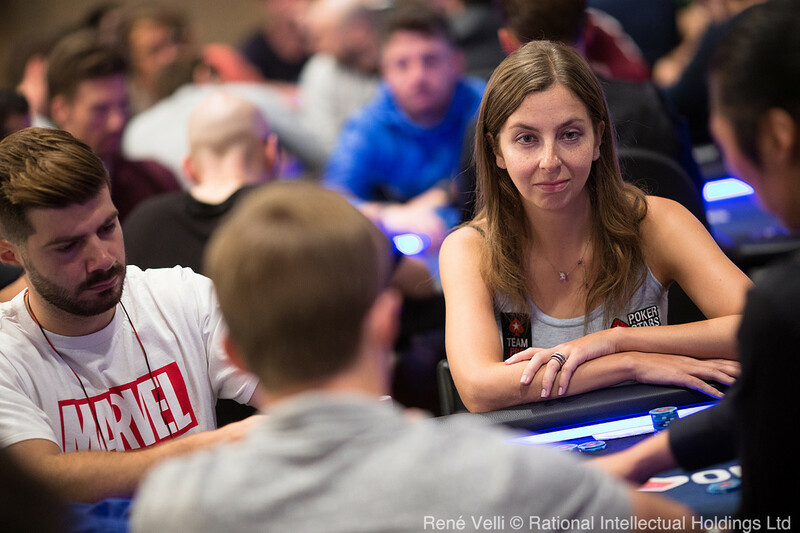 Benny Glaser, Pedro Cairat and Marc MacDonnell had already visited the payout desk by then, and Maria Konnikova fell in 34th place for €9,200 when her ace-queen couldn't get there against the ace-king of Jack Salter. 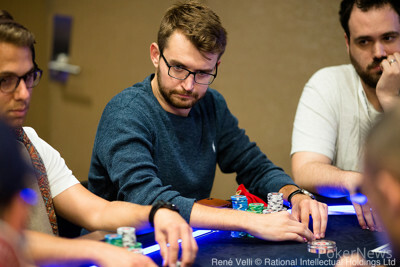 The hot run of the Brit continued all the way until the final two tables and he was joined at the top of the counts by Marton Czuczor and Leonardo Patacconi. Yevgeniy Timoshenko and Tobias Peters were eliminated just prior to the three table redraw. Czuczor jumped into the top spot after he was involved in a big three-bet pot with Sergi Escote and called the shove of the Spaniard on a ten-high flop with the nut flush draw. Escote only held nine-seven for a straight draw and another spade on the turn locked up the pot for Czuczor. Former big stack Marian Virlanuta departed in 15th place and Carlo Savinelli had to settle for 13th place, his push with jack-seven was called two ways and Milad Oghabian rivered a straight with pocket nines. Only 12 players remained in the dinner break and within one hour after returning to the tables, the unofficial final table was set. Sergey Aristov, Francisco Benitez and Jans Arends were the casualties that missed out on the final redraw of the tournament. While Jack Salter had dominated for most of the day, a costly misstep against eventual runner-up Brian Kaufman sent him into the middle of the pack and Kaufman finished the job he had started by winning a flip with queens against ace-king. Bernardo Dias fell in a battle with Marton Czuczor with ace-ten versus ace-jack and Leonardo Patacconi ended up second-best with ace-jack suited against the ace-queen of Tuomo Niskanen. 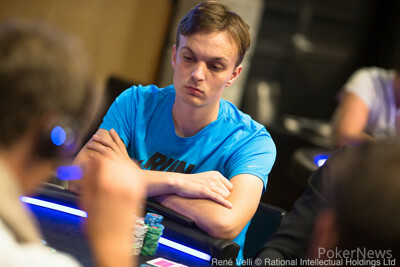 Oleh Okhotskyi grinded a short stack for a long time and fell in 6th place after losing a flip with sevens versus ace-ten. Milad Oghabian was sent down to just a few big blinds when he got it in with pocket sixes and again it was Niskanen that raked in the pot after getting there with ace-deuce. Down to the final four, Niskanen and Kaufman were the big stacks, the latter after doubling through Ignacio Barcenas with king-seven suited versus pocket jacks. Czuczor joined the Spaniard at the bottom of the counts and the two clashed with ace-queen versus ace-king. The better kicker played for Barcenas and the field was down to the last three. Only ten minutes later, Kaufman won a flip with king-eight against the pocket fours of Barcenas and one hand of heads up was played before Niskanen and Kaufman agreed to a deal. 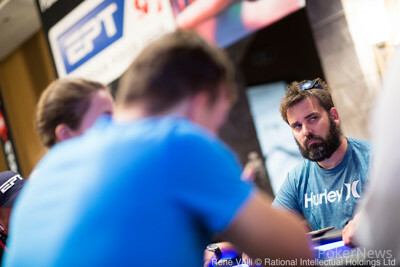 That wraps up the PokerNews updates from the €2,200 EPT National High Roller, but the action continues right away at the half-time of the poker festival in Barcelona. After brief discussion, both players agreed on deal numbers and shook hands for the first time. However, Tuomo Niskanen had his eyes set on the trophy as well and negotiated a bargain with Brian Kaufman, giving up some more money and officially take home the trophy as the champion. Below are the deal numbers with Niskanen as the official champion. After playing one hand of heads-up, Tuomo Niskanen asked to look into ICM numbers and Brian Kaufman agreed. Both asked to call for one friend to assist in the discussions and the current chip counts can be found below. Brian Kaufman open-shoved from the small blind into the big blind of short stack Ignacio Barcenas and the Spaniard glanced at his cards, then quickly called. Kaufman had two over cards and struck one of them right away on the flop. 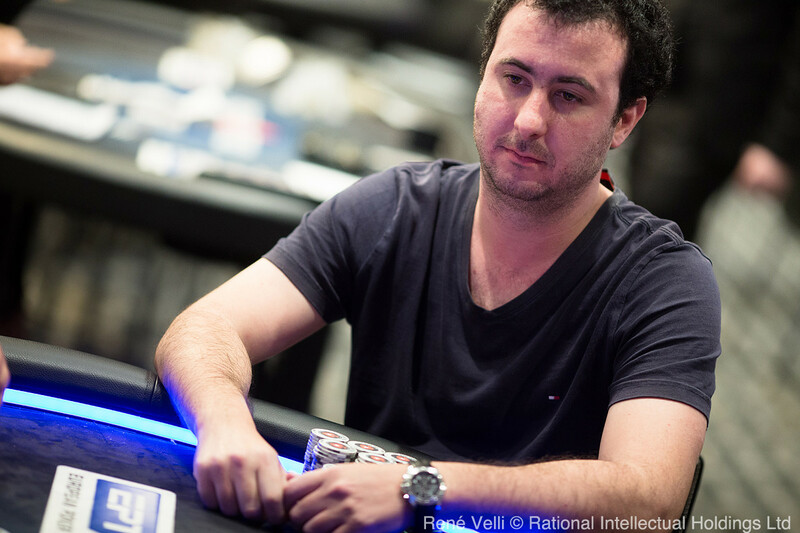 The turn and river were both blanks and Barcenas was eliminated in 3rd place for €205,040. Tuomo Niskanen raised on the button and Brian Kaufman three-bet to 2.9 million in the small blind, Niskanen called. On the flop, Kaufman bet and Niskanen folded. Ignacio Barcenas limped the button and Kaufman raised to 1.3 million in the big blind, Barcenas folded. On the flop, Kaufman bet 1.5 million and Barcenas folded. First to act, Ignacio Barcenas moved all in as second short stack and Marton Czuczor on the button called for his last 2.4 million. Neither player hit anything on the board of and Czuczor was eliminated in 4th place for a payday of €151,880. Brian Kaufman raised it up in a battle of the blinds and Ignacio Barcenas called in the big blind. Both checked the flop and Kaufman bet the turn for 950,000, Barcenas called. On the river, Kaufman checked and called a bet worth 1.55 million by Barcenas to get shown for a busted flush draw. Kaufman had that beat with and gained back most of the chips he had just lost. In the second hand after coming back from the break, Brian Kaufman opened the action with a raise to 900,000 in the cutoff. Ignacio Barcenas moved all in for 4.525 million on the button and Kaufman called. The classic coin flip went to Barcenas as the board came .